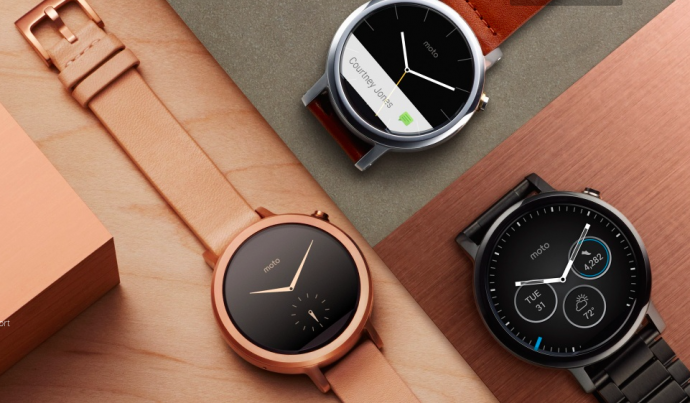 So Motorola has released a new Moto 360 smart watch at the IFA Berlin event this year. Here’s us breaking it down for you and comparing it to its predecessor, as best as we can. The Moto 360, when released, was one of the few Android smartwatches with a round display. This smart-wear had its own set of problems, for example – the round display cut out the corners of the content and the battery life seemed short. However, the second problem was fixed soon enough. Overall, the Moto 360 seemed like a ‘nice’ smartwatch, just like any other – it could respond to your voice with voice control, you could send texts just by saying “Ok Google”, you could check the weather, and even ask for directions. The device could also be used as a health monitor and came with a Pedometer and Optical heart rate monitor (PPG). It had a display of 1.56-inch LCD with 320 x 290 resolution (205ppi) protected by the Corning Gorilla Glass 3. It came with an IP67 rated water resistance and a 320 mAh battery which now lasts a lot longer since the update. Now, what we’re really excited to talk about today, is the Moto 360 second-gen version that was just unveiled at the IFA Berlin event. What’s different about it? Well firstly, it’s not just one watch, its an entire ‘collection’ that has been released. This year Motorola has clearly been very influenced by the fashion world and all the latest trends within the design industry. 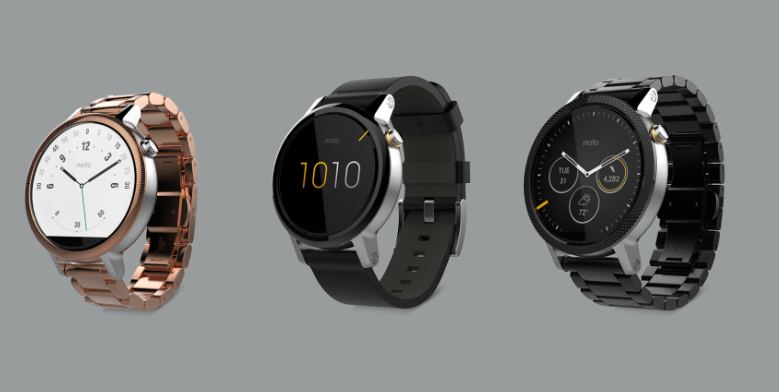 So, it’s come up with two models, three sizes and up to 300 different ways to customize your Moto 360. 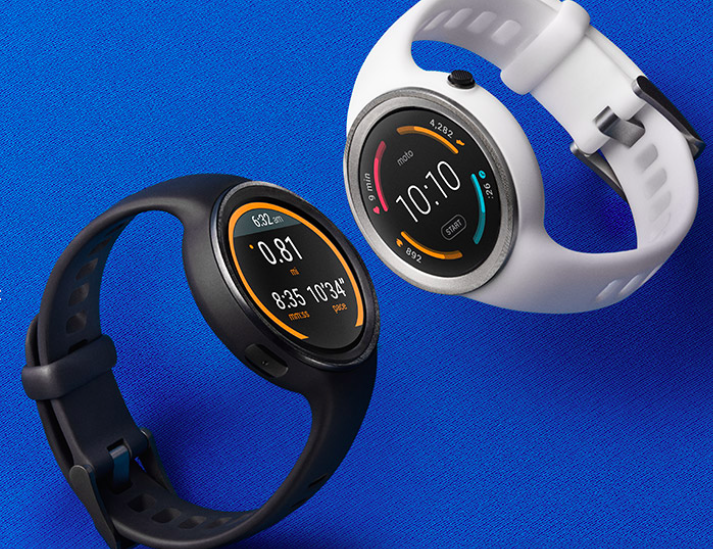 The Moto 360 comes in two sizes – a women’s version, and a sport version with an on-board GPS and outdoor readable display. The device is still round in shape with the men’s version coming in two variant sizes – 46mm and 42mm. While the women’s version, is obviously thinner and also comes in two variants – 42mm and 16mm strap mounts. Another convenience available in the new Moto 360, that wasn’t available in the first edition, is the fact that now the smartwear comes with standard lugs that are fused to the outside of the watches making it easier to swap bands. The Motorola bands also have release pins even in the metal link bracelets. Other than the size and range, there have been very subtle changes to the new design, such as – a re-positioning of the button to the 2 o’clock position and one can even customize the finish of the small bezel that surrounds the display. There are different colours available for it too; the men’s version is said to come in silver, gold, and black, while the women’s version will have silver, gold, or a new rose gold color option. The straps can also be changed between the new leather, metal, and double wrap designs. In respect to the battery power and processor, Motorola has upgraded its device with a Qualcomm Snapdragon 400 processor. They have also further improved the battery life and say that the 46mm watch will last up to two days between charges, while the 42 mm watch will be able to last about a day and a half. You can charge your watch on the wireless dock which you’ll get along with the watch. So, basically, the new Moto 360 is an upgraded, very cool, stylish and round version of the first Moto 360. Oh! and also a little more expensive. Check it out soon.